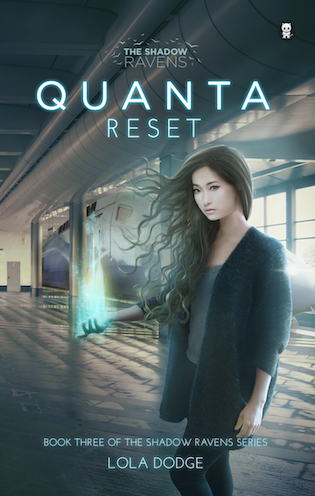 I'm so excited to be participating in this blog tour for Quanta Reset by Lola Dodge! Quanta Reset is the third book in The Shadow Ravens series, and I absolutely loved it. You can check out my review for the second book in this series, Quanta, here. Make sure to visit all the other great blogs participating in this tour and enter the giveaway! Quanta has escaped her laboratory prison, but that's where the good news ends. Life at the Shadow Ravens' compound is a disaster. She's drowning in visions of the dark pasts and darker futures of her fellow Ravens and is plagued by her own panic-inducing memories, but Lady Eva still expects her to "train" and "participate in missions." Plus, the food tastes like burnt plastic. The only bright spot is her genetic pairing to the brilliant Altair Orpheus. As their relationship grows, she's positive that chemicals aren't the only things drawing them together - although chemistry is definitely involved. While they test the limits of her game-changing new ability to reset time, word arrives from Eva's agents: Doctor Nagi is still experimenting with her DNA. If he succeeds in duplicating her power. . .
"I wasn't giving up yet. I wasn't giving up at all. I had too many reasons to survive." Quanta Reset picks up right where the last book ended with Quanta and Altair at the Shadow Ravens' compound. Quanta is still struggling with her powers, and being surrounded by so many people is not helping her. She's constantly surrounded by visions making it hard for her to even walk near the other Ravens, and the only thing that calms her is being near Altair. The story continues to be told through both of their POVs, and I still enjoyed this! 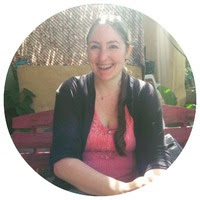 Lola Dodge perfectly captures both of their individual voices while ensuring every chapter flows together nicely. It was easy to connect with these characters again and instantly root for their safety! As Quanta is trying to find the spy within the Shadow Ravens, I could feel all the weight on her shoulders. 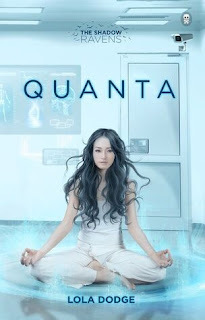 I love Quanta because she's incredibly selfless and brave despite everything she's been through. She wants to help the Ravens, and it truly does hurt her to be surrounded by constant visions of their deaths. Determined to help other Reds out there and end the Seligo government, she puts her pain to the side and helps Lady Eva find the spy. Together, Quanta and Altair, discover new information regarding the past they thought they left behind. Plus, Altair and Lady Eva figure out that Quanta is destabilizing. Altair's main concern is still for Quanta's overall safety, but you can tell that their connection is now deeper than just a genetic match. I liked how their relationship didn't feel too "insta-lovey" in this book. I also appreciated that their romance wasn't the main focus throughout this book, of course what romance there was is still adorable! And Altair is just as great as he was in the previous book! As the story progresses, we are introduced to a few new characters. 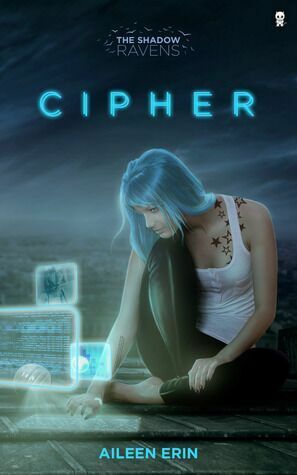 Some of these characters are ones that were mentioned in previous books, such as Cipher and Knight, and I enjoyed getting to know them a little better in this one! It was fun to see how Quanta interacted with other people besides Altair or Lady Eva, and it just helps the readers see how big her heart truly is. Cipher and Quanta end up discovering that Doctor Nagi is still experimenting with her DNA and it is not good. Which I found that Dodge did a wonderful job reminding us of past events while continuing to move the story along. There are so many twists and revelations as the story comes to an end! There was plenty of intense action and I loved it. It does end on a cliffhanger though and now I really need the last book! Overall, I loved this book. The characters, especially Quanta and Altair, were great and I enjoyed all of their growth throughout the story. In my review for Quanta, I said I wanted more world building and I was not disappointed this time around. The world expands, the descriptions are perfectly placed to help you relate to this world and these characters! The story was nicely paced leaving me entertained the whole time. If you've enjoyed the previous books then you must continue with this series. If you haven't read any of the books yet, then I highly recommend checking them out if you're a fan of fantasy/sci-fi stories! Lola is a compulsive traveler, baker, and procrastinator. 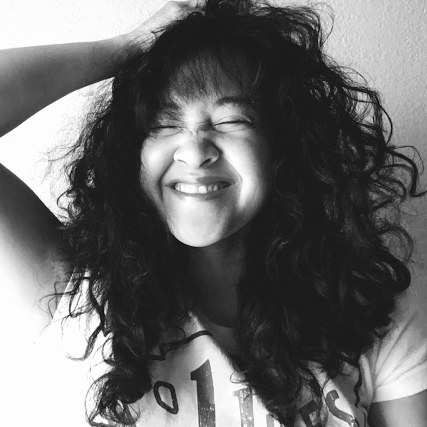 She earned her BA in English from Stonewall College and MFA in Writing Popular Fiction from Seton Hill University - and hasn't stopped moving since. When she's not on the road, Lola spends her time indoors where the sunlight can't melt her, writing or bingeing on anime and cherry soda. She can be summoned in a ritual involving curry, Hello Kitty idols, and a solid chocolate pentagram. Alone and on the run, Cipher doesn't talk about her secrets, her powers, or the people chasing her. She can't let anyone get that close. At least, she shouldn't. Knight is working undercover for the bad guys. He's done things that have marked his soul, but it'll all be worth it if he can save the girl who means everything to him - the girl who saved his life by putting herself in danger. It's been twelve years, but Knight knows she's still alive, and he's made it his mission to find her and keep her safe. When Knight finally catches up to Cipher, electricity sparks. He's crazy gorgeous, stupid brilliant, and begging to lift the burden from Cipher's shoulders. Can she really trust him with her secrets? With her life? She doesn't have long to decide, because Knight isn't the only one who's been looking for her. Now Cipher can't run without leaving him behind. What good is being together if they're both dead? To save Knight, Cipher will finally stop running. . . One way or another. Just because Quanta can see the future doesn't mean she can change it. She's spent most of her life imprisoned, feeding her captors information to keep herself alive, but she's finally reached the endgame and her death creeps closer by the moment. The son of two senators, Altair Orpheus, leads a life of privilege that provides the perfect cover for his side job: working with the rebel Shadow Ravens to undermine the ruling Seligo government. Everything is running like clockwork until he crosses paths with Quanta. As he watches her deftly maneuver through life in a perverse prison, his plastic heart melts. A jailbreak would be suicide, but Tair is willing to sacrifice everything to give her a chance at happiness. Now Quanta senses a terrifying new future brewing. She and Tair are bound together, but every image of them kissing, snuggling, and acting knee-weakeningly happy is balanced by a much darker possibility. They'll be picture perfect together, but only until time rips them apart. How can she follow her heart when she's seen how their love plays out?